Early estimates show voter turnout for the 2018 midterm election reached record levels. How does this change the political landscape of the Senate, House of Representatives and states? 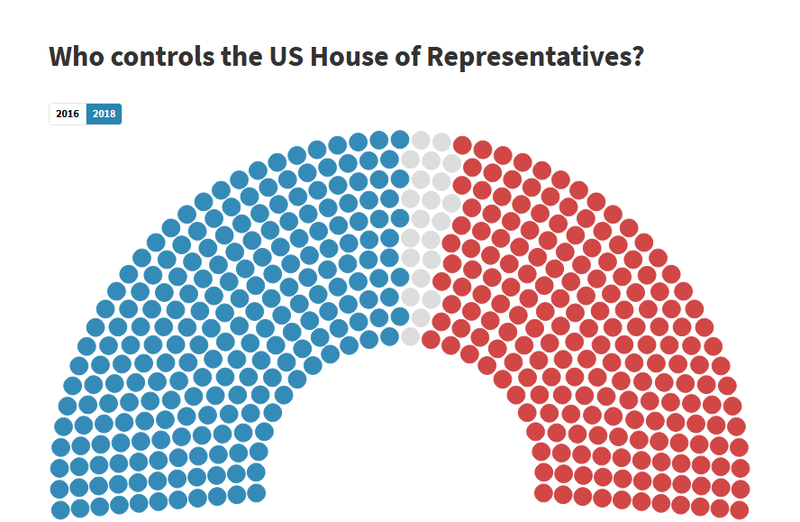 In the Senate, Republicans kept control of the chamber, and expanded their majority. With some races still too close to call, Republicans will have at least 51 seats for the next two years. While in the House of Representatives, Democrats gain the majority, creating a partisan split. Some races are not yet official, but will have a minimum 2-seat lead. In gubernatorial elections, Democrats won control in seven more states, with Georgia still too close to call.